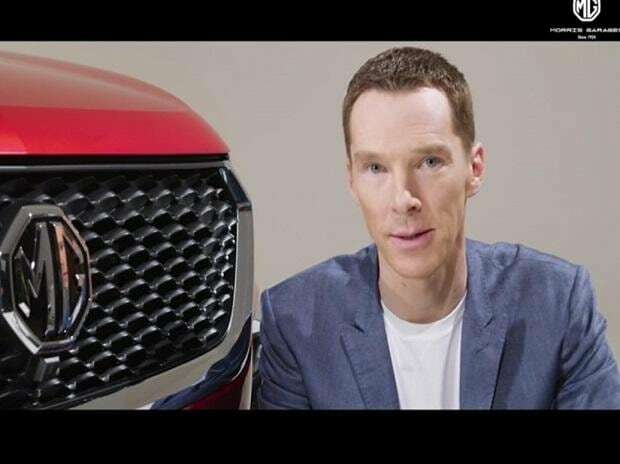 Morris Garages (MG) India has engaged noted British actor Benedict Cumberbatch as its brand ambassador as a run-up to the India launch of MG Hector, its premium SUV. Widely acclaimed for his role as Sherlock Holmes in the series Sherlock, the lead star in films such as Amazing Grace, The Fifth Estate and Imitation Game, will be the face of MG India, the company said in a statement. China's SAIC is banking on a strong SUV strategy to make a dent in India’s competitive passenger vehicle market. Revived by the Chinese auto major around 2014, MG will drive four SUVs manufactured out of the Gujarat plant that was acquired from General Motors. Starting with the Hector in June, the models will enter India over the next two years. Expected to be priced around Rs 15 lakh, MG will pit the Hector against the Jeep Compass, Tata Harrier and Mahindra XUV5OO. “As one of the most recognised and beloved cultural icons from the UK, Benedict has a lot in common with Morris Garages. He has, throughout his career, experimented with various types of roles across stage productions, TV shows and movies to push the bar ever higher, something which resonates with MG’s commitment to technological innovation. His social and philanthropic work, as well as his support for inclusivity beyond gender is also in sync with our core brand ideology of nurturing diversity. We are glad to have Benedict Cumberbatch as our brand ambassador to represent MG,” Rajeev Chaba, Managing Director and CEO, MG India said in a statement. Benedict Cumberbatch follows a strong resonance among pop culture and youth. The association further underlines MG’s unique British heritage and its focus on enabling the future with the core pillars of innovation, divers, the company said. World fan mous for their sports cars, roadsters, and cabriolet series, MG vehicles were much sought after by many celebrities, including the British Prime Ministers and even the British Royal Family, for their styling, elegance, and spirited performance. The MG Car Club, set up in 1930 at Abingdon in the UK, has more than a million loyal fans, making it by far one of the world’s largest clubs for a car brand. MG has evolved into a modern, futuristic and innovative brand over the last 95 years.